Barcelona - Barcelona had difficulty subduing Athletic Bilbao. 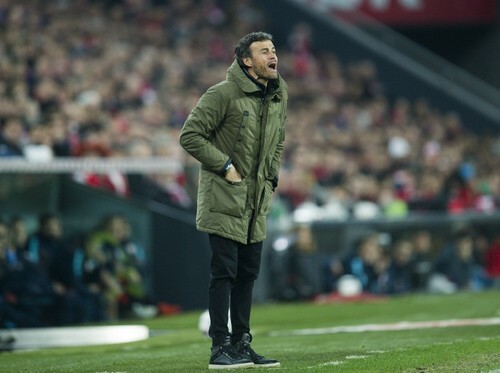 Barca coach, Luis Enrique admitted that Los Leones which had been making Los Cules seems to stop playing. In the match at the Camp Nou on Thursday (28/01/2016) pm dawn, Barca is 3-1 when confronted with Bilbao in the second leg of the Copa del Rey quarterfinals. Barca conceded the first thanks to a goal from Inaki Williams in the 12th minute. They could only reply three times in the second half through Luis Suarez, Gerard Pique, and Neymar. In the data reported by Soccernet, Bilbao could dampen Barca in the first round. They can withstand a potential attack Azulgrana to Lionel Messi et al. can only release the two trials and none on target. In the second half, Barca were able to rise to release 16 extra shots, and eight of them to see the field. "This is a very interesting game and both get a lot of praise," said Enrique as reported by Football Espana. "This is a game that is very demanding of yourself, but it's hard to explain why (a team can play very different) in a complex game like this." "Athletic will always demand a lot from you, and they can drown us in the first half. But we can still find the right solution." 0 Response to "'Bilbao Could Make Barca Stop Playing'"